Canada is a nation very desired country by people who want to emigrate in search of a better life and better pay and it is because it has a very strong economy. If you manage to collect all the necessary documents to work in that country, should dedicate some effort to find employment that is consistent with your expectations, your level of preparation and experience. A very good way to do this is via the Internet and specialized pages in the job search, so you can save a lot of time and learn while you fulfill requirements in the job title to which you aspire. Then we will tell you which sites are most frequently consulted to seek employment in Canada. This is a website specialized in finding employment in Canada. It has a very comprehensive search engine which will ask you to fill some important fields for you to see a list of the jobs that most closely match with your profile. You must enter a keyword that may identify the job you are looking for, followed by the city where you want to go to work. Furthermore, this page provides several links with great advice on how to make your resume and how to make your job interview preparation. The address of this website is http://www.monster.ca/ . This is a very good online job opportunities that will allow you not only to find the jobs available in Canada but also in some other countries. It also has a very comprehensive search and further lists the latest job offers posted on the page. One advantage is that this page allows you to log to upload your resume so you can apply for jobs around the world, after your registry will also automatically receive an updated list of the latest jobs that fit the searches done on the page. This site is ideal for finding jobs in Canada. The part of the site where we can find jobs is the search engine where we have to type in the keyword blank a word that helps you to find the job we want. After this, we must write the city and the province in which you want to find employment. Once the search is completed, you will see a complete list with all current offers. 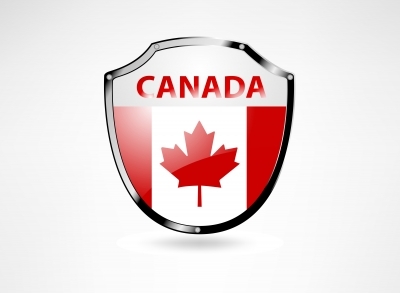 Finally we have this site, which also help you to find an excellent job in Canada. Its browser has an option to do advanced searches with which you can filter the search results and concentrate on those offers that come closest to your profile. Other options that offers this page is to find jobs by city or most recent job offers. It also has links to help you with tips for writing a good resume which you can also load the page. You can recommend this page to your friends via social networks. Login to http://www.aldaba.com/ for more information. Use the websites that we have commented here, for your job search to be a success and for you to have good results.